Educational Visionaries with Missionary zeal, rare dedication and progressive ideas hailed as Pioneers and Champions of Private Enterprise in Education in J&K State, Late Prof. H.L. 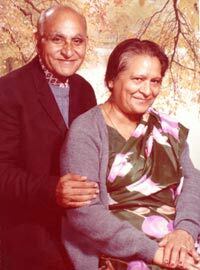 Gupta & Mrs. Shanti Gupta nurtured MIER from a small school, Model Academy in 1936 to a Major Educational Complex providing Education from Pre-School to Post-Doctoral Level. We pay our Homage & Warm Tributes to the Sacred Memory of our Founders. Their noble spirit continues to inspire & guide us in our Vision & Mission Ahead.